Pictorico Ultra Premium OHP Transparency Film | Beau Photo Supplies Inc. 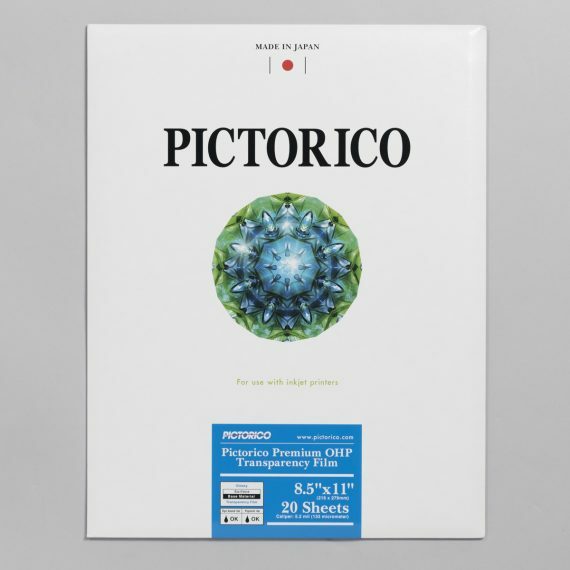 Featuring Pictorico’s advanced crystal coating on polyester-based film, these superb films deliver high resolution output and excellent transport stability. Compatible with both dye and pigment inkjets, they deliver high D-max (maximum color density) and sharply defined ink dot reproduction. Moreover, superior water resistance and image durability ensure outstanding storage stability. They are ideal for creating digital negatives for alternative process printing.